2017 was a banner year in the land of Seakeeper. 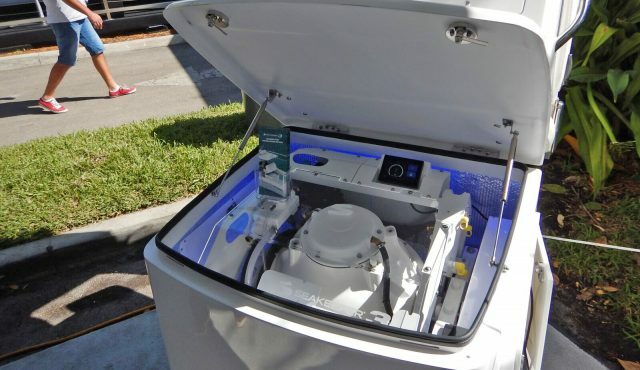 Their two newest models made quite a splash in the boating world: thanks to the fresh design and technological advances of our first DC-powered model, the Seakeeper 3 won the Innovation Award for Mechanical systems at IBEX in October. The Seakeeper 6 launched mid-year, incorporating some features the Seakeeper 3’s new design in order to pack 20 percent more stabilizing power into the same footprint as the Seakeeper 5. But the newbies weren’t the only stellar performers! Seakeeper shipped 52 percent more units than the previous year, which is continuing their trend of doubling shipments every two years. The smaller models especially had a great year, increasing the number of units shipped by 130 percent over 2016. This increase in demand across the board has meant that Seakeeper has had to grow more as well. They have expanded trheir assembly facility by 50 percent and created 12 new production lines, bringing the factory’s production capacity to more than 6,000 units per year. It’s dealer network has welcomed 27 new dealers. Even their staff has grown dramatically, with the addition of 25 new employees across the globe. “So thank YOU for making 2017 a year for the history books! We couldn’t have done it without your support and enthusiasm. And please keep it coming, we’ve got some exciting plans for 2018, including new product launches, the expansion of our Demo Boat Program—so even more people can experience the magic of Seakeeper—and the opening of our brand new sales and service location in Lavagna, Italy later this year”. Visit website for more information and videos.